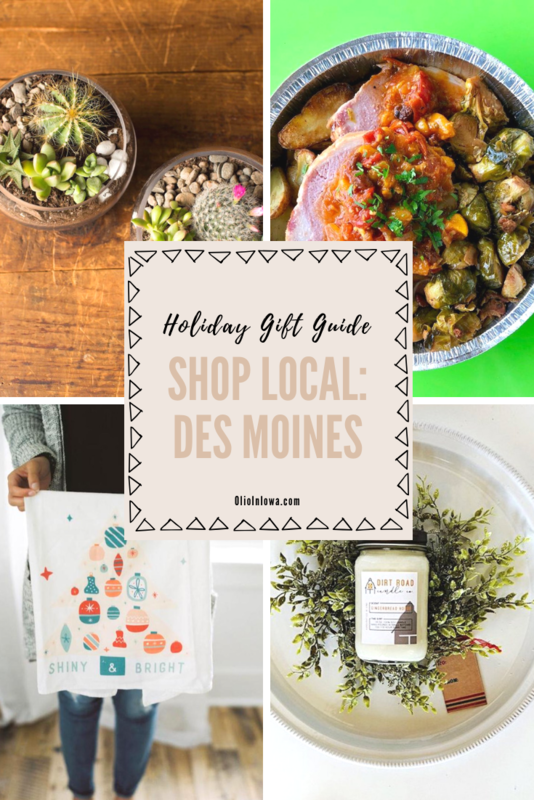 Des Moines is full of incredible shops, and Art Terrarium is one of my favorites. This combination plant shop and art gallery has become my go-to spot when shopping for a gift. 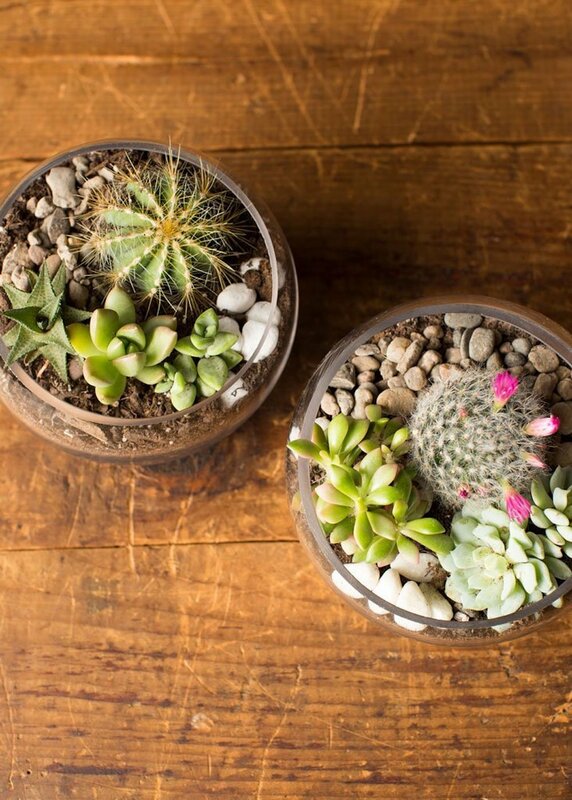 Even if your gift’s recipient doesn’t quite have a green thumb, the incredible team at Art Terrarium will help make sure they have the tips and tricks to give their new plant a good life. Plus, if you don’t feel confident picking out a plant of your own, the shop has some pre-made options like this darling cactus garden that are ready for your holiday gifting. If you’re looking for a gift that’s both practical and beautiful, look no further than Doe A Deer‘s darling flour sack towels. I absolutely adore Regan’s design aesthetic and her incredible vintage camper Della. I’ve given her towels as parts of wedding and holiday gifts a number of times, and their recipient has always been truly delighted. 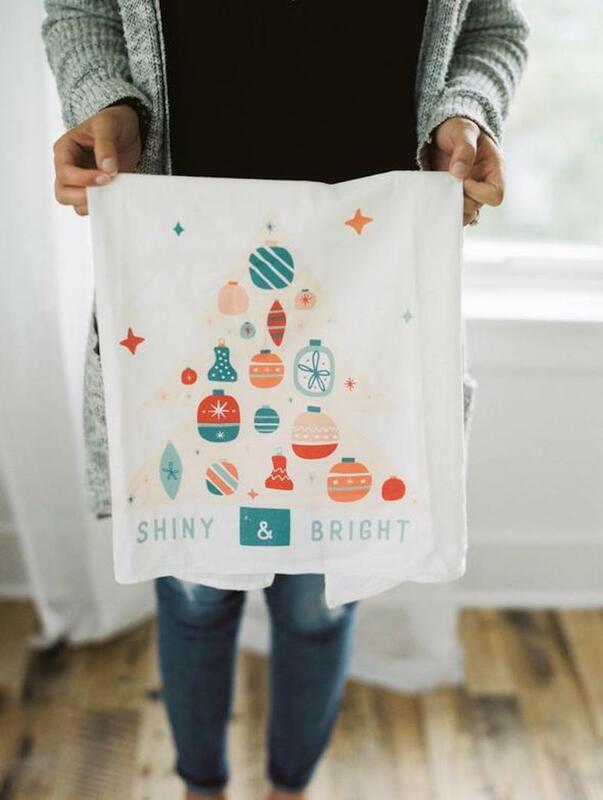 If you’re looking for a thoughtful hostess gift or a sweet addition to a family member’s kitchen, one of Doe A Deer’s holiday towels will make the perfect present. I truly believe that gifts are more fun when you can give an experience. If you’re local to central Iowa, I can’t recommend a class with Becky Pospisal of The Knotty Nail enough! Not only is she a great teacher, but she’s also a truly generous and hilarious person. I was skeptical about my string art skills when I met Becky earlier this year, but I had a blast creating my own DIY masterpiece. 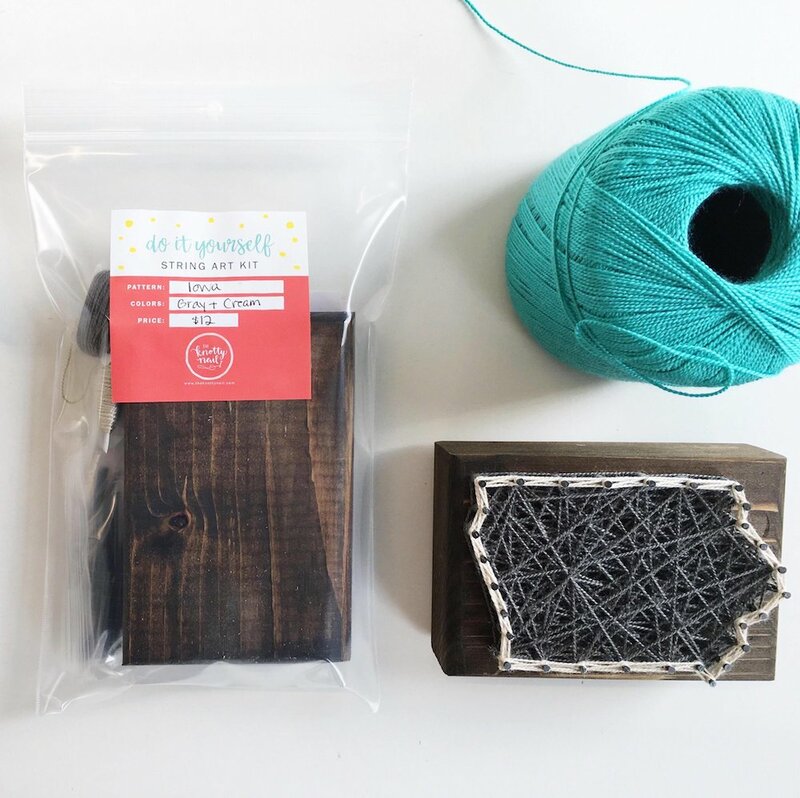 If you’re not able to make it to a class, consider gifting one of The Knotty Nail’s awesome string-it-yourself kits. 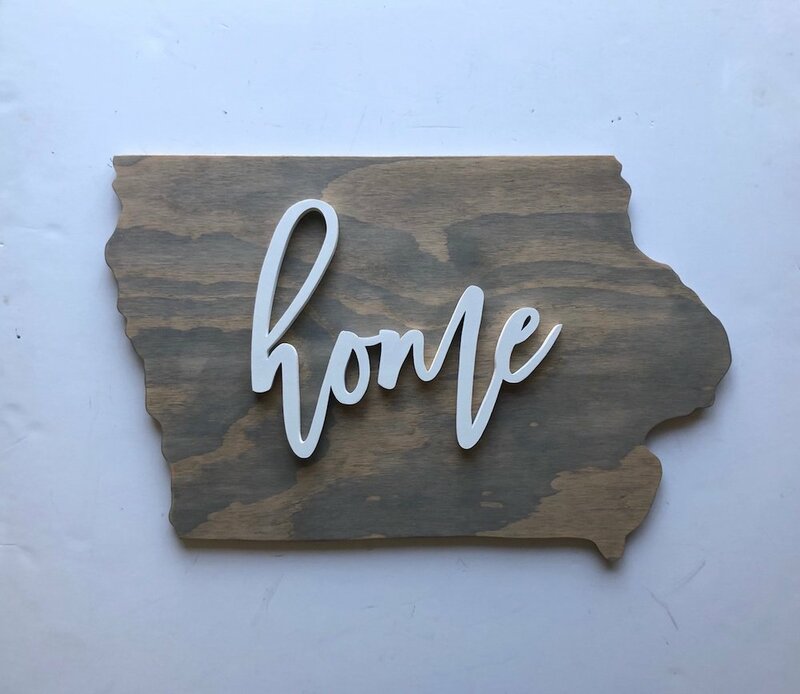 This DIY project will give its recipient something fun to do after the holiday, and give them a unique way to display their Iowa pride. I’m a sucker for a good candle—especially around the holidays. So it’s no surprise that the incredible holiday themed scents from Dirt Road Candle Co have me swooning. Not only are these candles the perfect gift for everyone on your list—from your boss to your best friend—but their packaging is also so stinking adorable. Can’t decide which candle to choose? 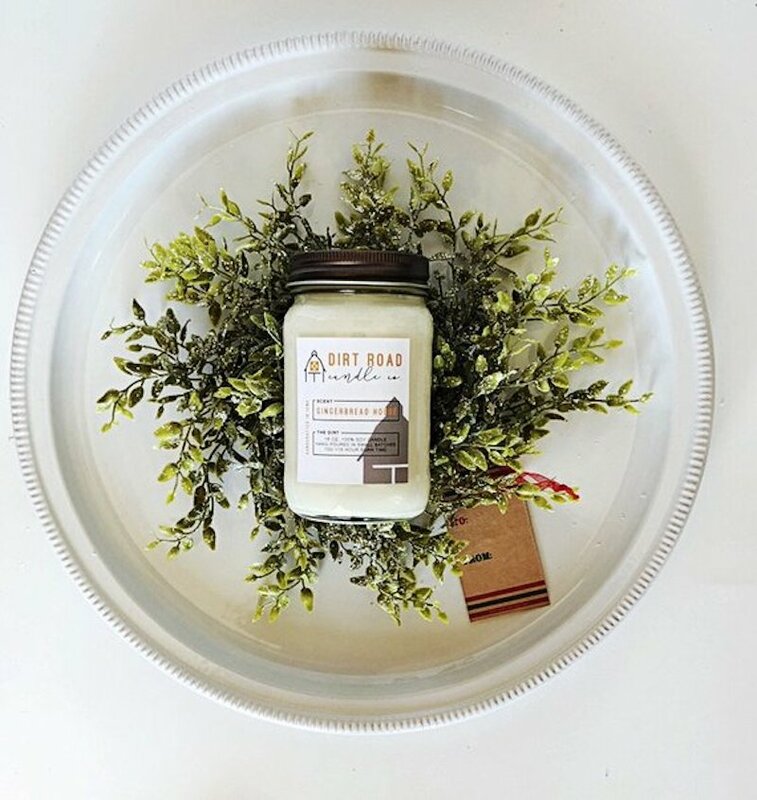 Dirt Road Candle Co also offers a holiday scent sampler! 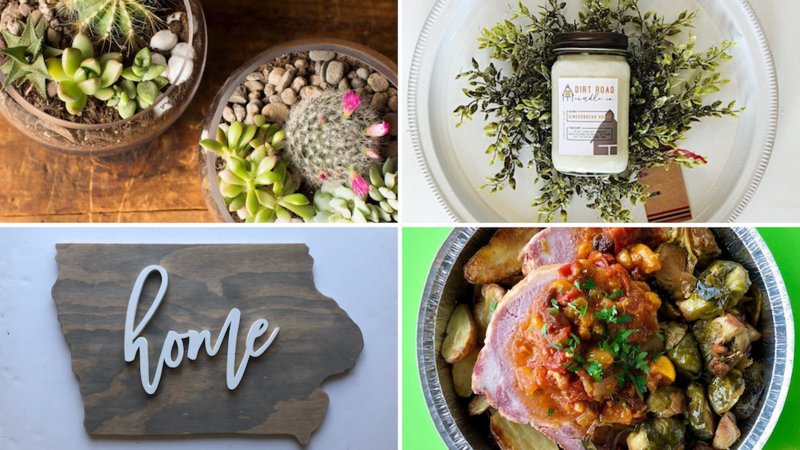 If you live in the Des Moines metro and haven’t heard of The Grateful Chef, you’re seriously missing out. During weeks where life has gotten crazy or I haven’t had the bandwidth to plan dinners, Brandy’s incredible meals have quite literally kept me going. 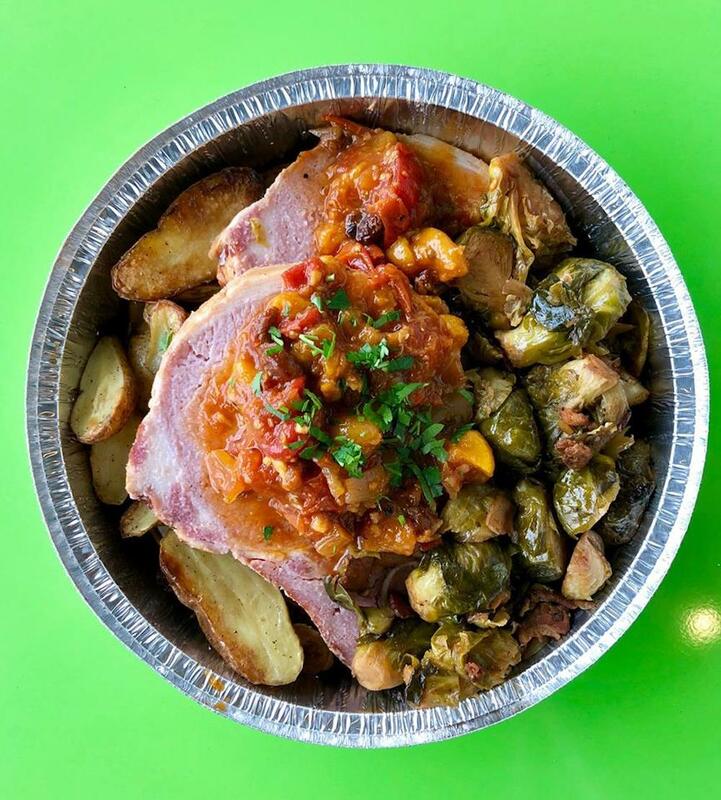 Give that incredible gift to someone else by purchasing some of The Grateful Chef’s prepared meals for them. While truly everything that comes out of this kitchen is delicious, some of my favorite menu items include the smashed chickpea wrap, chocolate avocado cookies, loaded baked potato soup, and apple BBQ turkey meatballs—just to name a few! I first discovered Rosella Margaret‘s beautiful handmade signs earlier this year during a Vintage and Made Fair. Ever since I’ve loved following Emily on social media and seeing what darling new pieces she’s working on. Not only are her signs delightfully original and fun, but she also does all of the hand cut pieces herself. As someone who is pretty crummy with power tools, her talent is something I greatly admire! Gift one of her statement signs to your favorite Iowa expat. Or commission a custom piece for the Iowan on your list who has everything. If I had to pick favorite places to have meetings, bump into friends, and get work done in Des Moines, Horizon Line Coffee would be one of them. 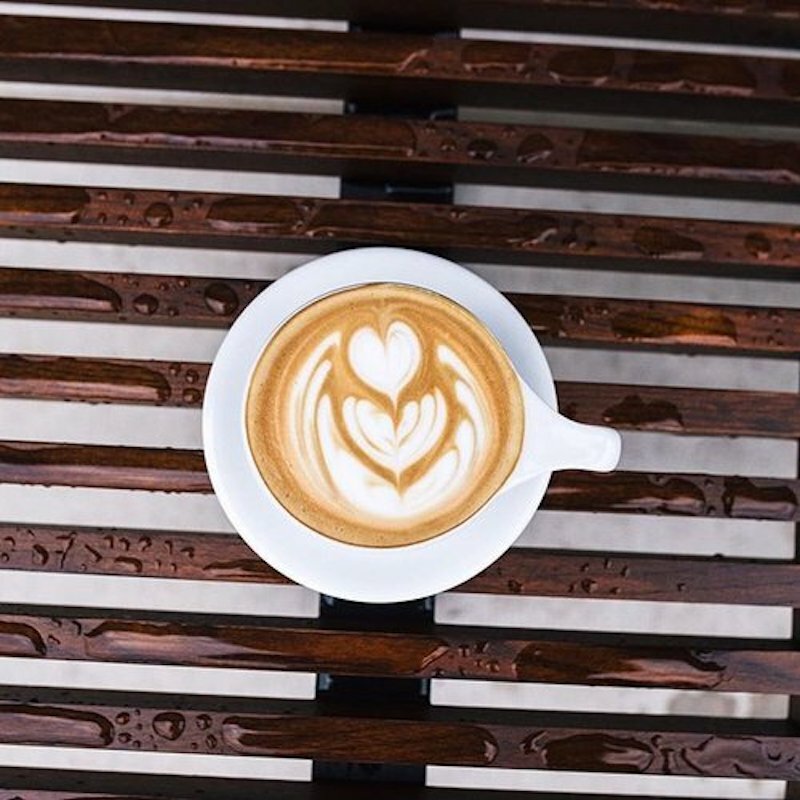 The talented team at Horizon Line slings some of the city’s best lattes. But they also roast their own beans for you to brew at home. Grab a bag the next time you visit to gift to someone who appreciates a strong, locally roasted cup of coffee. ephemera was one of the first shops I visited in Des Moines that made the city feel like home. Even if I don’t actually need stationery, I always pop into this East Village shop to admire their beautiful work. Make someone on your holiday list feel special by giving them the gift of snail mail. 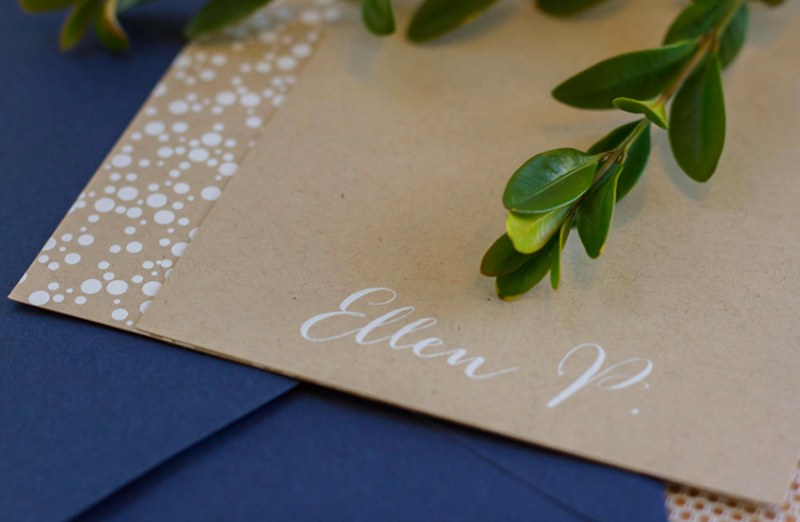 While ephemera sells dozens of fabulous greeting cards, they also design personalized stationery. Nothing says “I’m a serious professional” like stylish custom notecards. Iowa doesn’t have any professional sports teams. Which means Hawkeye and Cyclone apparel tends to dominate when it comes to repping Iowa. But this denim baseball cap from dsmscreenprint is much more my style. 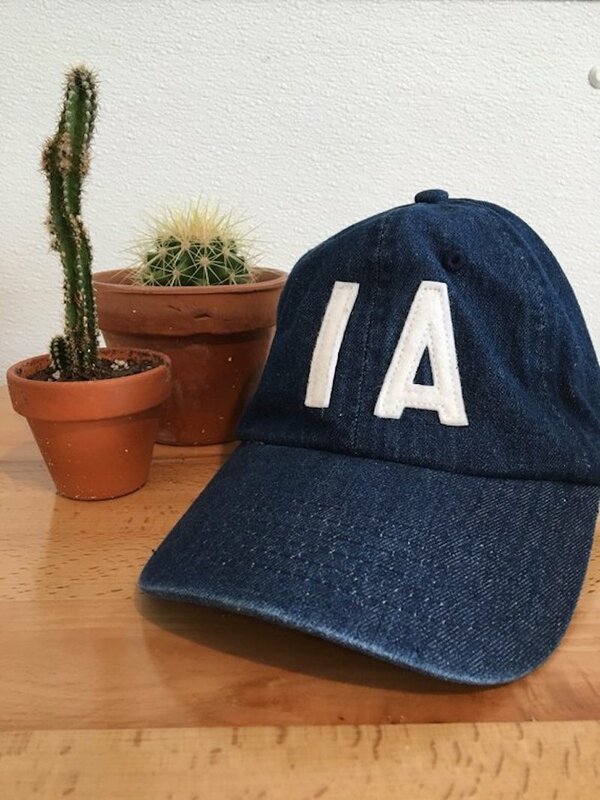 This handmade hat is a much subtler way for your favorite Iowan to share their love for their home state. Bonus points if you give this hat alongside one of dsmscreenprint’s “Duh Moyn” tees. Lately it seems like enamel pins are my kryptonite. 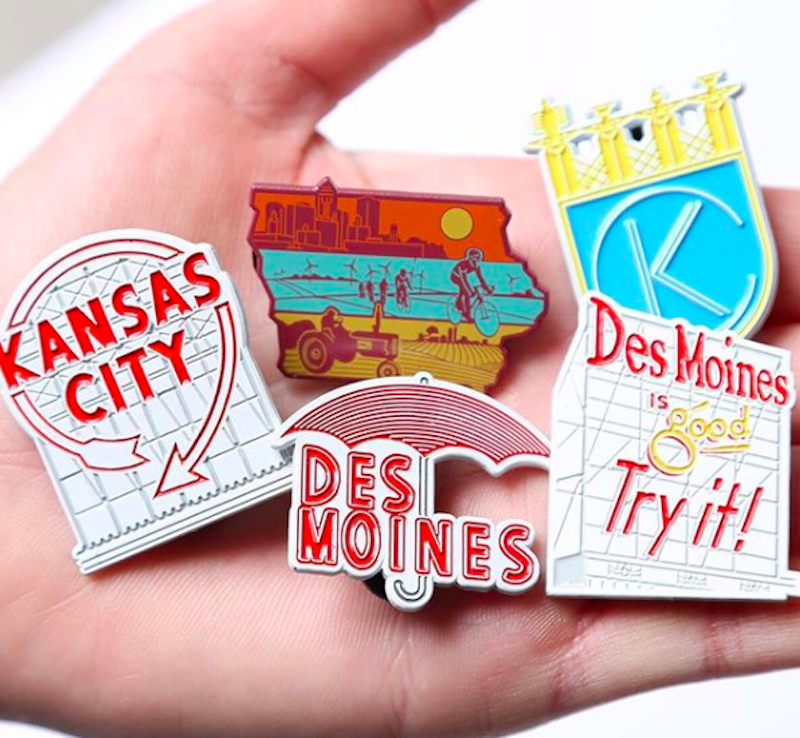 And these Iowa-themed pins from local graphic designer Bozz Prints are no exception. Bozz Prints’ fantastic graphic prints and T-shirts featuring Des Moines and Iowa icons have become some of my favorite depictions of home. But this collection of pins is the perfect way to incorporate his work into your every day! These are a stellar stocking stuffer for anyone who loves to share their local pride. Help the golfer on your list become a Wakonda Club member for a day and play where the PGA TOUR Champions play. For a limited time, you can save 20% on the Wakonda Golf Experience. That includes a round of golf at the members-only Wakonda Club, as well as exclusive, weeklong clubhouse badges good for the 2019 Principal Charity Classic. Plus, when you give the gift of golf, you’ll be giving back! All proceeds from Principal Charity Classic ticket sales benefit Iowa children’s charities. In fact, last year the tournament raised a record $4,356,321 for kids. Learn more and save on packages for individuals and twosomes beginning November 19! Shop the rest of the 2018 Holiday Gift Guide, or check out picks from 2017. I would love to hear from you! What are your favorite gifts for the lover of all things local in your life?